TOSCA is an iconic Australian brand that celebrates the Nation’s great diversity, love of travel and keen sense of adventure. Drawing inspiration from the rugged landscape and its modern and robust capital cities, TOSCA continues to produce high quality travel goods and accessories that are functional, stylish and compelling. Offering a broad range of products, TOSCA’s range includes hard and soft case luggage, women’s handbags, business bags, backpacks, casual bags and travel accessories. The newly released Sub Zero 2.0 luggage case features a unique front opening compartment, making packing and unpacking a breeze. Other key ranges include the So Lite 3.0, the lightest soft trolley case on the market today. 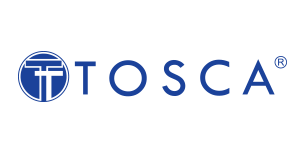 Learn more about the TOSCA brand here.